The upgrade of the Great Western Highway between Mount Victoria and Lithgow was announced in May 2008 with an initial study area. In June 2008, study area investigations and community consultation began. A background report was also prepared in June 2008. 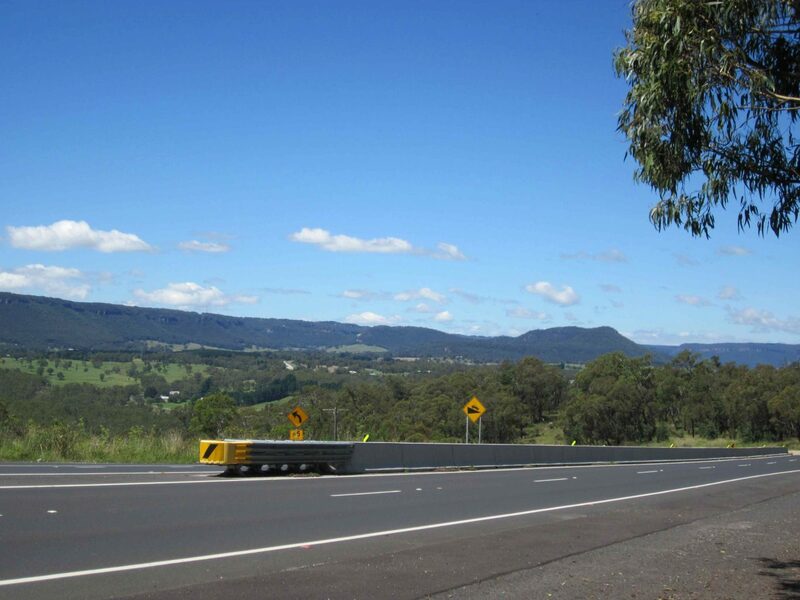 Some community members requested the viability of an alternative highway upgrade corridor from Marrangaroo (to the west of Lithgow) to Newnes Plateau, Bell, across the Darling Causeway to east of Mount Victoria (a length of about 40 kilometres) be examined. Cardno was engaged to investigate the viability of a Newnes Plateau alternative route. Five corridors for investigation, including the Newnes Plateau corridor were announced in November 2008, for public comment. In March 2009 the Department of Defence indicated a long term commitment to the Marrangaroo Army Base and that a highway would not be compatible with its activities on the base. In April 2009, as a result of community submissions, additional investigations and the decision to no longer consider the Newnes Plateau corridor, four modified corridors were confirmed. Literature/data review and desktop investigations, particularly with respect to greenhouse gases, land use, socio-economic and noise considerations. Field investigations, particularly with respect to Aboriginal heritage, non-Aboriginal heritage, biodiversity, hydrology, geotechnical, contaminated land and urban design considerations. Examined more information on highway design criteria and principles. Identified the key issues in the confirmed corridors. Developed route options, with technical specialists on hand to assist. In August 2009, it was announced that further investigations would focus solely on the orange corridor. In October 2009 route options were announced. Comments from the public were invited on the route options within the orange corridor. A value management workshop was held in November 2009 attended by community participants and representatives from government agencies, consultant specialists, the project team, councils and environmental, Aboriginal and business groups. A technical workshop was held in February 2010 and considered the outcomes of the value management workshop, the findings of the additional geotechnical, design, constructability and Aboriginal heritage investigations, additional information gained from the community and stakeholder consultation process, and cost estimates. Comments and suggestions submitted by the public were a key input into both the value management and technical workshops, influencing the road design and the refinement of options. In May 2010 a preferred route was announced.